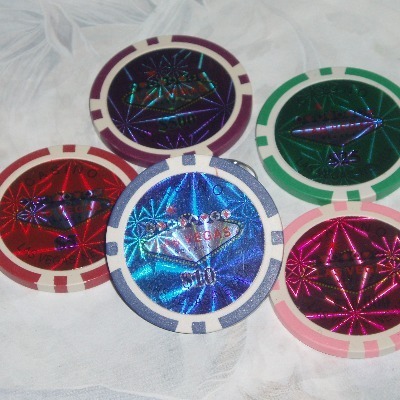 Authentic Las Vegas Poker Chip with holograph securely glued to a silver plated adjustable ring base. Choose from Pink, Purple, Green, Red or Blue. This is a large ring.